Metal Ceramic Liner Composite pipe is the use of SHS high temperature synthesis technology, that is, "SHS" technology composite, is a national High-tech "863" project, is the original national metallurgical Industry Department, the Ministry of Electricity Project focused on the promotion of new products, the tube from within to outside by ceramic (corundum) layer, transition layer and steel layer composed of three parts. 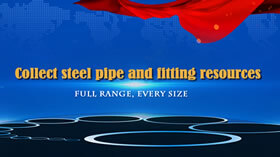 Ceramic composite steel pipe, is a high-tech production technology-self-fuel high temperature clutch synthesis method. The tube is composed of corundum ceramics, transition layer and steel three layers respectively from inside to outside, the ceramic layer is formed dense corundum porcelain (Al2O3) at high temperature above 2,200 ℃, and the steel pipe is formed firmly by the transition layer. Because of its high strength, good toughness, impact resistance, good welding performance and high hardness, high abrasion resistance, corrosion resistance and heat resistance, the composite pipe overcomes the characteristics of low hardness, poor abrasion resistance and poor toughness of ceramic steel pipe. 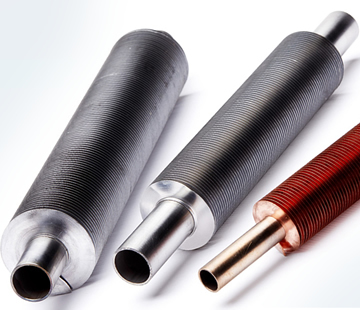 Therefore, the composite pipe has good wear-resistant, heat-resistant, corrosion resistance and mechanical impact and thermal shock, good weldability and other comprehensive performance. Is the transportation of granular materials, grinding, corrosive media, such as the ideal wear-resistant, corrosion resistance pipeline. 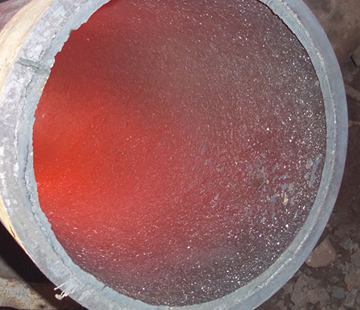 Because the tube has wear resistance, corrosion resistance, heat resistance, it can be widely used in electric power, metallurgy, mining, coal, chemical industry and other industries as conveying sand, stone, pulverized coal, ash slag, aluminum liquid, such as grinding granular materials and corrosive media, is an ideal corrosion-resistant pipeline. Metallurgy, power industry transportation of pulverized coal, ash, mud, limestone paste slurry, such as the annual need to consume a large number of metal pipelines. The use of ceramic composite pipe to replace other pipelines, with high wear-resistant, long life, easy installation and remarkable economic benefits. Shandong Liaocheng Chang-run thermal power plant, Liaocheng China power Plant, Beijing North New building materials group, Henan Hebi Power Plant, Gansu Pingliang Power Plant, Taiyuan Coal preparation plant, Shimen power plant in Hunan, Hebei Jinniu Energy Co., Ltd. Gequan Coal Preparation plant, Xingtai coal preparation plant and other industrial operations, its operating life is more than 10 times times or even dozens of times times more than steel pipe. (1) Mine: mine filling, concentrate powder and tailings transportation to the pipeline of serious wear, the past use of mineral powder conveying pipelines such as Panzhihua, Daye mine, such as the service life of less than one year, the tube can increase the life expectancy by about 5 times times. (2) Coal: Coal preparation and long-distance pipeline transportation of coal is commonly used in wet transport, the requirements of the pipe is both wear-resistant and corrosion-resistant, the use of the tube can be used as a long life transport pipe, the economic benefits are considerable. (1) The tube does not pollute and does not adhere to the molten aluminum solution. It is an ideal material to manufacture molten aluminum equipment, aluminum liquid conveying pipe and liter liquid pipe which are sensitive to iron pollution and need heavy labor for finishing and maintenance after use. 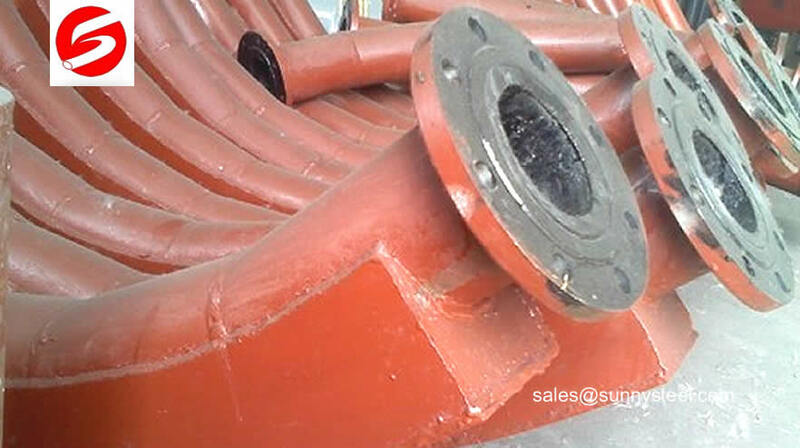 (2) The tube has good abrasion resistance and heat-resisting corrosion. It is suitable for conveying corrosive materials containing solid particles and high temperature corrosive gas and sulfur-containing hot water. What is Ceramic tile lined pipe ? 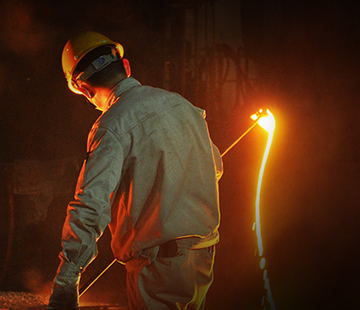 Because the outer surface behaves like mild steel, the product can be cut and welded with proper procedure in the field, configured into a variety of fittings, and can accept the standard end options of flanges, weld rings and couplings. One-hundred-twenty-nine-million tons of coal ash—a byproduct of the coal burning process—is produced every year. Most power plants transport the coal ash in liquid form to large surface impoundments or in solid form at landfills near the facility through long lengths of steel piping, which can range in length from several thousand feet to miles. What Steel pipe is suitable for pulverized coal conveying? We are Quality Department tests and ensures all of our products are 100% inspected unreported. To an offer we customers additional corps of mind, all our products carry a 24-month warranty against defects or faulty workmanship.We fluid-flow products such as pipe and fittings, chokes, orifice plates, etc, carry a warranty against, erosion, defects, and/or faulty workmanship. The warranty is determined to each creator and the maximum duration maximally in service. Should any of the RS fail within the warranty period, We'll replace or repair the defective product (s) at No. end user. Please contact the Sunny steel for details on the How to obtain a warranty for our products. As part of our quality regimen, 100% of incoming raw materials, semi-finished products, as well as finished products are thoroughly inspected prior to being entered into our inventory. 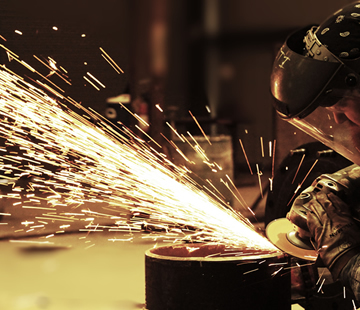 We have established multiple hold points throughout fabrication as well as a comprehensive final inspection for all products.